I've been gone for quite some time. I also kind of screwed up the layout (it's heading in the direction that I want, but there are broken links and disorganization that I never got around to fixing). Life seems to have hit peak craziness (oh I hope!) but I'm moving this week and hoping things will settle down a little after the unpacking. In the meantime, check out my good pal Meredith's blog, the latchkey kid, and marvel at her awesomeness. She's making me miss blogging a bit, so maybe there will be some outfit and food posts before too long? And perhaps I'll even fix the broken parts of cupcait.com. 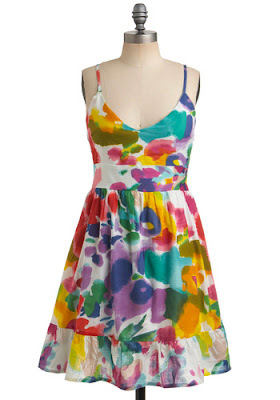 dress: Modcloth. out of stock, sadly.